Fans of the hit Harry Potter series will love the Harry Potter Gryffindor Crest Cufflinks. The cufflinks feature a gold plated base metal with enamel and measure about 3/4-inches tall x 5/8-inches long. 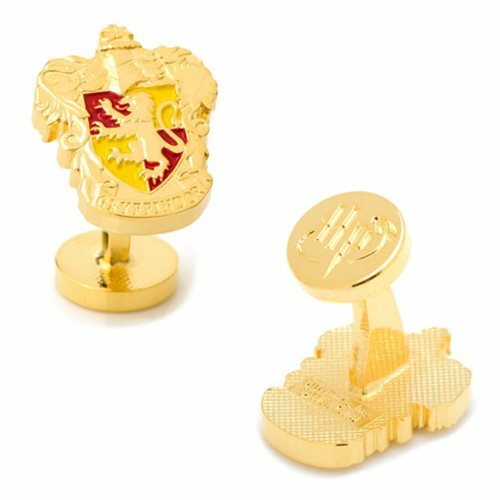 Your friends are going to be envious of you when they see you wearing these stylish Harry Potter Gryffindor Crest Cufflinks! Ages 13 and up.